Meet Tiny. We found her about a month ago, she was alone, cold and oh, so scared... abandoned. We took her in and fell in love immediately. She won't ever be abandoned again, that I promise. 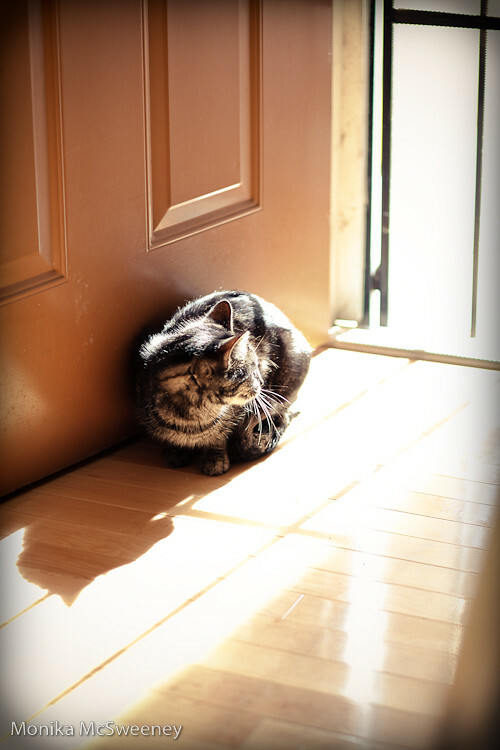 These days she likes to sit in the sun by the door =). She's a happy kitty now. And I'm so glad we were the ones to find her.